Today’s blog focuses on Oracle 12c Release 2. With this release of the database additional new interesting functionality was introduced: sharding and analytics support for JSON. Very interesting in context of JSON processing – future blogs will continue the JSON SQL discussion. With Oracle 12c Release 2’s functional additions Oracle 12c is providing all major functional areas of functionality in context of JSON processing. Non-functional areas (backup, restore, replication, HA/DR support, etc.) are supported as well, and there is no need to discuss those here. JSON OLTP Processing. Oracle 12c supports general OLTP (online transaction processing) functionality. JSON documents are stored in tables and accessed through SQL (full DML support). JSON Analytics. Oracle 12c supports JSON analytics processing in the Oracle In-Memory option providing columnar representation and columnar processing. JSON Sharding. Oracle 12c supports managed sharding of data in tables of independently running databases (shards); up to 1000 shards currently. The following presentation contains a first level of details for the three areas above. I gave it during an Oracle Code event (https://go.oracle.com/oraclecode) in New York (https://developer.oracle.com/code/newyork) earlier this month. References to more detailed Oracle 12c documentation are provided in the presentation itself. The presentation can be downloaded from here: Oracle Code NYC Presentation. It is quite natural to view Oracle’s In-Memory Option in context of the relational model; however, the In-Memory Option supports the JSON model at the same time as well. As shown earlier in this blog, the Oracle 12c database supports JSON natively [http://docs.oracle.com/database/121/ADXDB/json.htm#ADXDB6246] and incorporates JSON access into SQL so that JSON structures can be accessed through SQL directly. In addition, in a single SQL statement, JSON structures as well as relational tables can be accessed at the same time. Please see the documentation and the other blog entries for more details. The In-Memory Option [http://www.oracle.com/us/corporate/features/database-in-memory-option/] was introduced in the previous two blog entries and those discussed a relational example as well as queries that allow to introspect the meta data and status of the In-Memory Option processing. It gave an overview as well as the rationale why using the In-Memory Option for analytic queries is advantageous over regular relational processing (columnar representation of data in main memory). Analytics in context of JSON structures would benefit from In-Memory Option support as well. 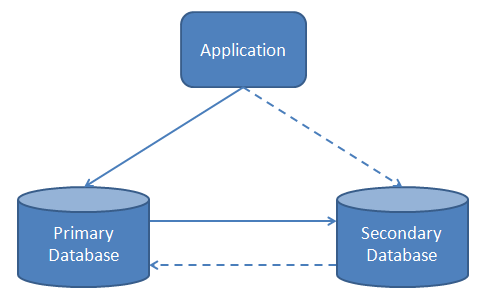 Many applications based on JSON structures usually have to support some form of analytics. The In-Memory Option supports aggregation functionality on JSON structures as well as on relational tables. In the following, an example is introduced that creates a table containing a JSON structure, enables it for In-Memory Option support and shows a few simple analytics queries. The following declares a sample table with a column containing a JSON structure. In order to have a large data set the following block creates rows containing JSON structures and inserting them into the above declared table. The following queries show aggregation over elements of the JSON structures. Each query extracts all ‘points’ values from the JSON structure (since every document might have several ‘points’ fields in the array of ‘games’) and makes is accessible as ‘pts.points’. Then it aggregates over this structure. The first query aggregates over all rows, whereas the second query is selecting only a few rows based on ‘player_name’. Oracle’s In-Memory Option, because it not only supports the relational model, but also the JSON model, is an interesting alternative to analytics in context of JSON data sets. This blog has shown an example of how to combine JSON structures and the In-Memory Option in order to be able to run analytics queries.